It's no secret that I am in love with nail art, and I will continue to blog about my nail finds. This is my first attempt at the 'Ombre' trend. A look that sees two colours blend into one another to create a edgy and chic look. I put this off for a while as I expected it to be so much harder than it was. I regret leaving it this long - It's so easy and anyone can do it. I know a lot of people have tried it, and I just wanted to document my first time doing it, so people who have yet to try know that they can achieve it. First I took took contrasting nail polishes. I took Shade 2 by 2True and Andrea Fulerton Julia. 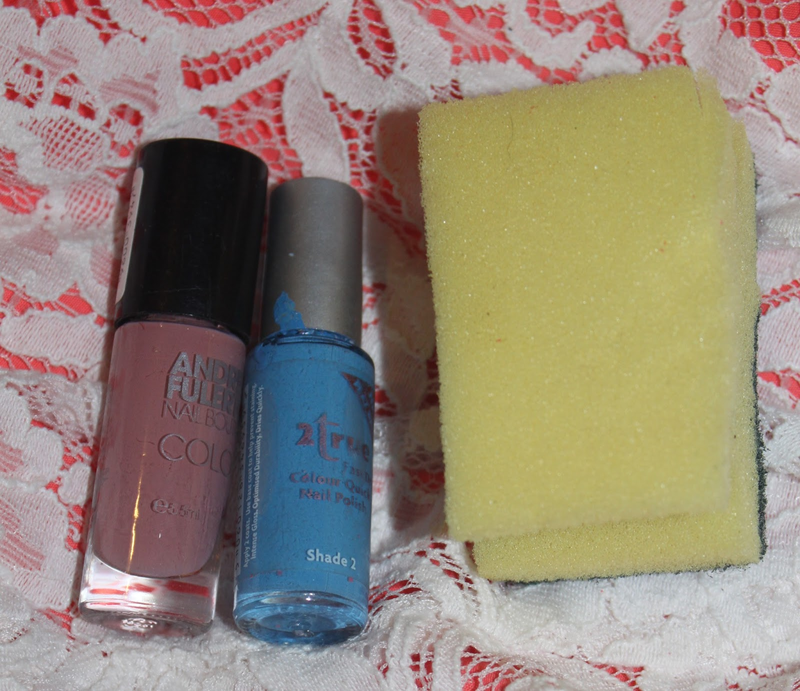 Now all you need is a sponge, tooth pick (I used a Ear Bud and took of the cotton) and a top coat. Then you're good to go! 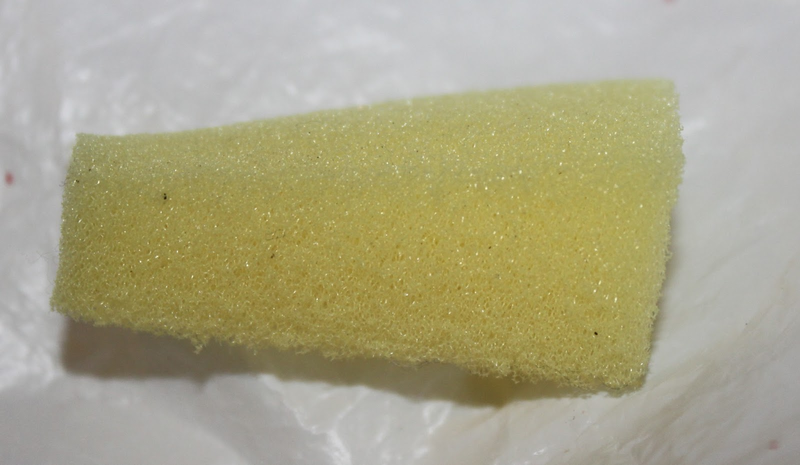 Then cut your sponge to size. Realistically you need it no bigger than your nail, but make sure it covers your length and width of your nail with some extra. 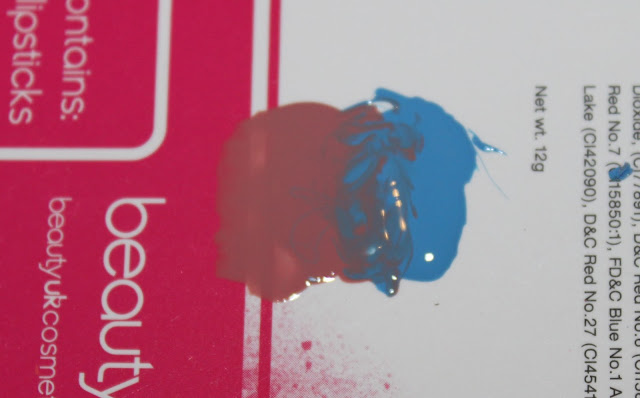 Then paint your nail with the lightest colour. 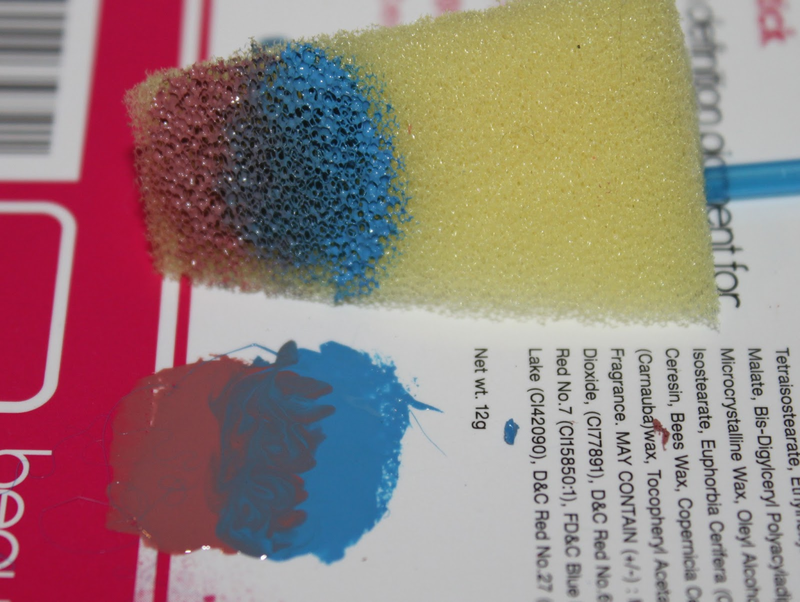 Mine where very equal, but as my blue was thicker, I chose the pink first. Using a scrap piece of paper dab on your two colours side by side then mix the middle with a tooth pick as it looks in the picture above. You don't need too much nail polish and don't cover too much area either - It's only got to cover your nail. Then dip in the sponge. You may need a fair bit on the sponge to get a good coverage of the nail. 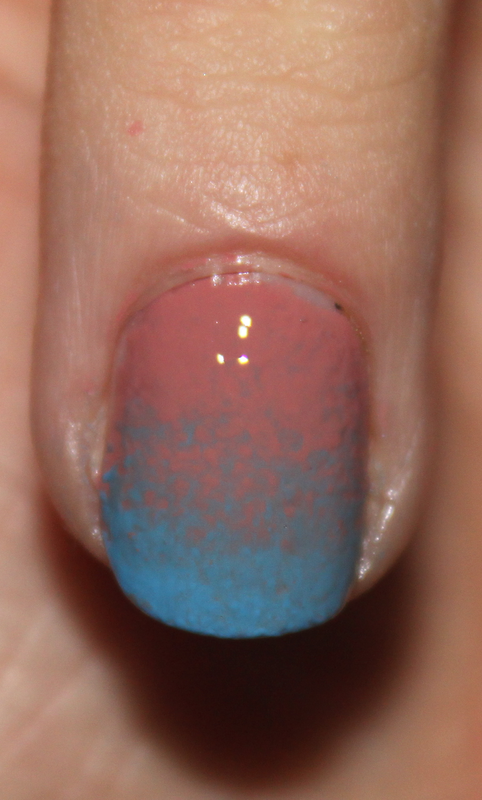 Then dab it onto the nail until you get the desired look. It may take a few dabs to get it the way you want. As you can see after it dries it looks very messy. I cleared it all up with an ear bud soaked with nail varnish remover. Then I put on a top coat to sort out the uneven surfaces. As shown below, there is my finished product. This is my first go so it's not perfect but I am so happy with how easy this is to do - Even on the right hand!! The 'Acid Look' is with Who The Shrek Are You? and Strawberry Margarita, both by OPI. Have you done it before? If so, link me in the comments. These are sooo pretty! I might give this a try since it's so easy as I have no nail skills! Your nails look amazing! I have been wondering how to do the ombre look so thanks for sharing. Definately going to give this a go! i'll be definitely doing this :)!! i've always wanted to do this type of nail art but didn't quite know how so thanks for posting this :)!! looks so pretty! Ah I am so glad!! Hope they turn out gorgeous!! 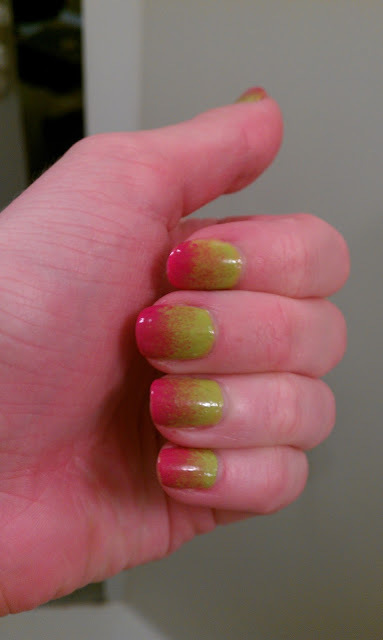 I really like the pink and green ombre - my fave colours. I am trying to be more ambitious with nail this year, I think this might be my next experiment ;). I love the pink and green together, pretty! The pink and green looks lush!